Small towns have a lot to offer for people of all ages, but retiring Boomers see the unique appeal smaller towns provide for their retirement living needs, including characteristics such as a strong sense of community and a vibrant, but more relaxed pace. Community strength extends from volunteer opportunities and participation all the way to active involvement in community fairs, festivals and area churches. In small towns, friendly residents and neighbors get to know each other, cherish opportunities to socialize and develop fulfilling relationships. It’s easy to find people in smaller towns that are friendly, welcoming and kind. Residents can take leisurely strolls around the community, get to know the people who reside there, carry on conversations at the supermarket and linger outside a church parking lot talking for hours after the service has ended. In smaller towns, residents and businesses look out for each other with a sense of camaraderie. Crime rates tend to be substantially lower in small towns than in larger cities, encouraging many retirees to embrace the chance to retire in a small town. Smaller towns typically offer lower rates for insurance, property taxes, housing and other essentials. Even basic necessities such as groceries and medical supplies tend to be cheaper in small towns because larger cities are much more expensive for the stores to operate in. The cost savings generally trickle down to consumers, making it more affordable for people living in smaller towns. Small towns offer a slower pace of living with an intimate feel. The slower pace is conducive to a positive sense of well-being. The lack of traffic compared to many larger metropolitan areas contributes to the relaxed pace in smaller towns. Small towns offer a simplicity in lifestyle that is not easily found in a larger city. 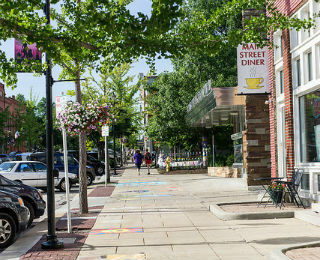 As a smaller city, Oberlin, Ohio offers an easygoing pace in a thriving small community. Because it’s a college town, Oberlin offers the cultural opportunities to nurture the soul, including musical performances, theatrical productions, dance recitals, sports events, lectures and symposiums. The city also provides opportunities to feed the mind since Oberlin College offers older adults living in the community the opportunity to audit college courses free of charge. The community is very walkable and travel by bicycle is very common. Retiring in Oberlin, Ohio, means that there is easy access to the Cleveland metropolitan area, just 40 minutes away, and all the museums, entertainment and shopping the area has to offer. Small town living offers many opportunities for active participation. 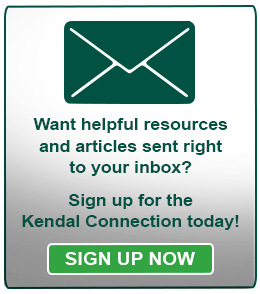 With so many great reasons to consider, perhaps it’s time to take a closer look at the advantages Kendal at Oberlin has to offer.